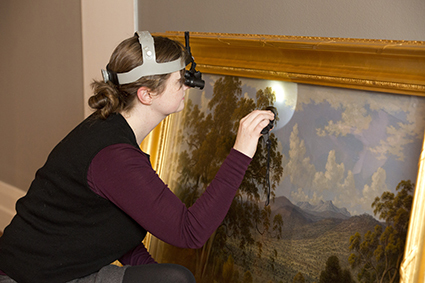 The Tasmanian Museum and Art Gallery (TMAG) has a dedicated team of conservators and registrars who undertake the important work of caring for the collection. This critical role is outlined in the 2016 - 2021 TMAG Strategic Plan, whereby one outcome – to build and care for strong collections that represent our unique environment, culture and heritage; is achieved through the initiatives undertaken by the conservation and registration team to care for the collection on behalf of current and future generations. The team is responsible for developing and implementing policies to manage collections, acquisitions and loans, as well as putting in place programs such as environmental monitoring and disaster preparedness. Some policies are available on the website here. The registration team is responsible for the legal and logistical aspects of acquisitions, disposals, loans, exhibitions and insurance. They ensure that international best practice and minimum standards for collection care, documentation and handling are met. 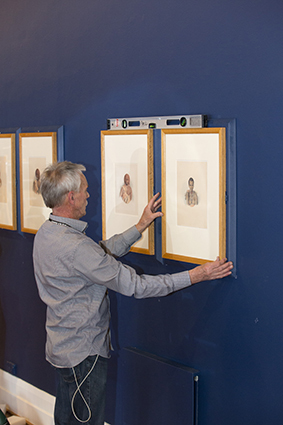 Inward and outward loans provide the opportunity to enhance knowledge for exhibition and research. 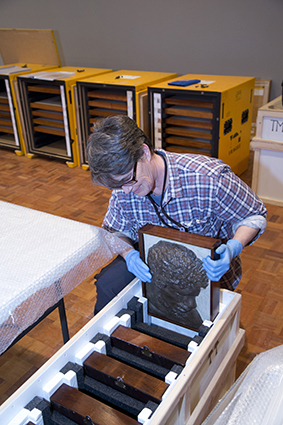 The registrars liaise with staff from other institutions to ensure works of art, objects and specimens can be shared for exhibition and research purposes statewide, nationally and internationally. The conservators regularly work on paintings, works on paper, photographs, objects and furniture to prevent deterioration through cleaning, treatment and proper storage. They also prepare items for exhibition and loan. The conservators are members of the Australian Institute for the Conservation of Cultural Material (AICCM), which is the peak body for conservation professionals in Australia.They conduct their work in accordance with the Code of Ethics and Code of Practice. There may be opportunities for volunteers or interns. Please contact us if you are interested or if you have any questions. This page was last modified on 22nd February 2019.